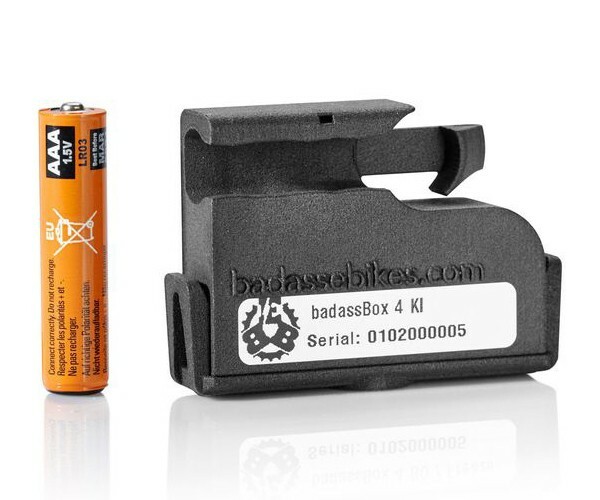 The Badass Box 4 for Kalkhoff-Impulse Electric Bike Tuning. This is the latest and so far best version of the Badass Box especially for E Bikes with Impulse mid-mounted engines. This tuning tool removes the 25 km/h speed limitation completely. 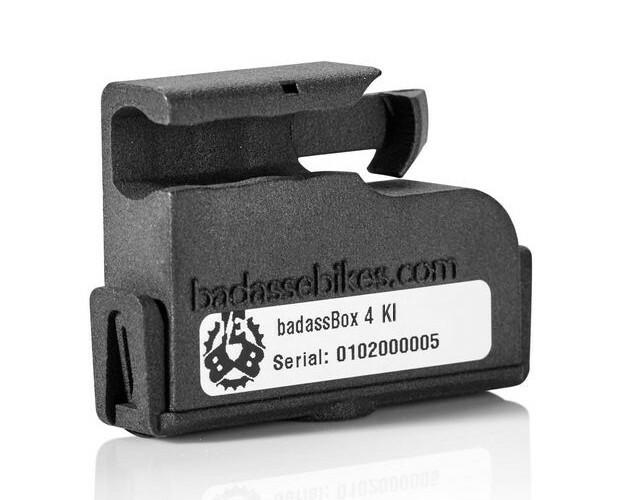 In contrast to the previous version, the Badass Box 3.4, the new Badass Box 4 has a much longer range (7,000 instead of 6,000 km) and can be mounted much faster with just one hand. 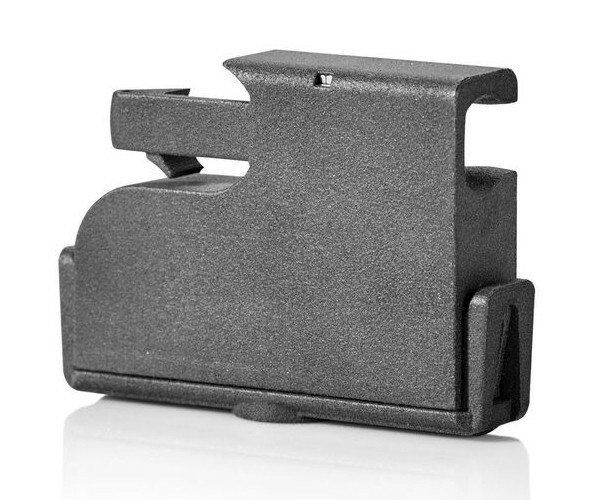 In addition, the housing is not only much more robust, but also much narrower, so that no adapters are required for installation anymore. Thanks to the patented snap lock, the box can be put on and taken off more quickly than ever before. You can activate the tuning within seconds by attaching the Badass Box 4 and moving the spoke magnet a little (thanks to the included “toolfree screw” you don't need any tools to do that). You can also cancel the tuning just as quickly by removing the box and pushing the magnet back to its original position – after that, your electric bike is restored to its original condition! After attaching the box, it transmits a modified signal so that the preset speed limit of the E Bike drive system can be exceeded. This works absolutely contact-free and without direct intervention in the motor electronics or software, so that the motor cannot be damaged. Please note: Due to the functionality of the Badass Box 4, your E Bike display will not display the correct speed when the tuning is activated (this also applies to values derived from it). We recommend that you simply use GPS-enabled devices to detect the correct speed (smartphones, bicycle computers etc.). Thanks to a specially developed & patented field reinforcement technology as well as the new AAA battery, which replaces the CR2 battery of the previous version, the lifetime of the new Badass Box 4 is longer than ever before: You only have to change the battery after approx. 7000 kilometres or after one year (due to battery discharge). Of course, you can replace the battery at any time, without any tools. AAA batteries can be bought nearly everywhere in stores. The installation of the Badass Box is very simple; the engine case does not have to be opened. Thanks to the new design, the installation and use of the Badass Box 4 is simpler than ever before. The housing has been completely redesigned and is considerably slimmer, so that there can be no more installation situations that are too tight anymore. An annoying adapter is no longer required, too. You simply have to pull the Badass Box over the Impulse speed sensor at the rear wheel. As soon as the snap lock engages, the box is adjusted. Additional securing via cable tie is also possible. During the first assembly, we recommend replacing the screw of the spoke magnet with the supplied Toolfree screw. This will enable you to move the magnet in the future without any annoying tools. Because after placing the Badass Box on the sensor, the spoke magnet must be moved towards the edge of the housing in the direction of the snap lock. If the spoke magnet should touch the box, you have to position the magnet as close as possible to the box and turn it 90° - that´s it, the tuning is activated and the 25 km/h speed limit is taken away. To cancel the tuning, simply remove the Badass Box and shove the spoke magnet back to its original position. After that, the electric bike´s original riding characteristics are restored (engine support up to 25 km/h). Since the O-ring of the previous version has been replaced by the patented snap lock, the Badass Box 4 can be attached and removed much faster than ever before. For better protection against moisture and mechanical stress, the electronics of the Badass Box are glued into the case and completely sealed with a special sealing compound. By the way, every Badass Box is checked twice during the production process to check if it works correctly.